On Sunday August 31, 2014, early in the evening, Earth’s Moon and two planets were positioned just right to form a conjunction. This conjunction was made up of the Moon, Mars, and Saturn. The moon was past its first quarter phase, but Saturn and Mars were past opposition and were starting to set earlier. At home, I borrowed my dad’s DSLR camera, and his tripod to take pictures of the conjunction. I had to act fast as the conjunction was setting very quickly. I quickly took the pictures, using a mid-level exposure rate, with the f/stop at maximum, and the ISO level at 1600. I was satisfied with the images I took. Conjunction of the Moon, Mars, and Saturn. 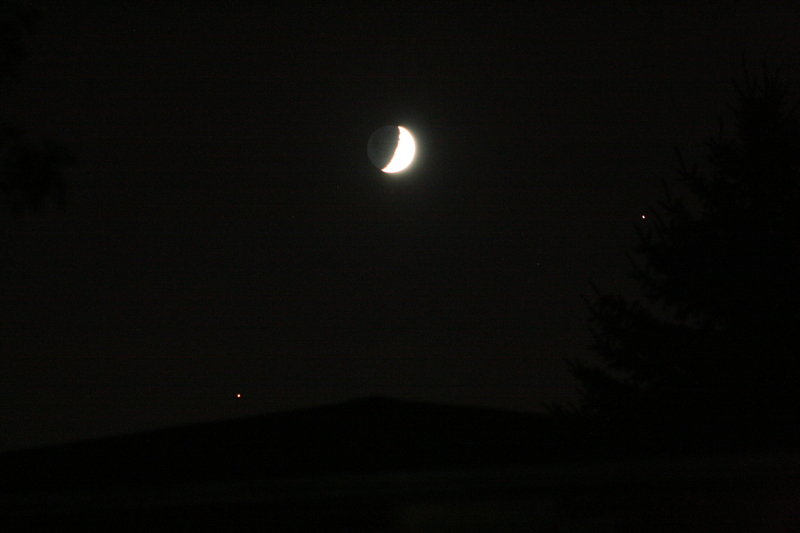 Mars is at the bottom, Saturn is on the Far Right, and the Moon is near the center of the image. While I was taking the images, two of my neighbours, who were walking down the street noticed what I was doing. I showed them what is going on, the pictures that I took, and told them where to find a few tools to get started on their own. They were very intrigued by my stargazing. They soon went back to walking, talking about what I showed them. Soon after, the conjunction was too low in the sky to image anymore. The western sky at my house was obstructed by my neighbours’ houses. 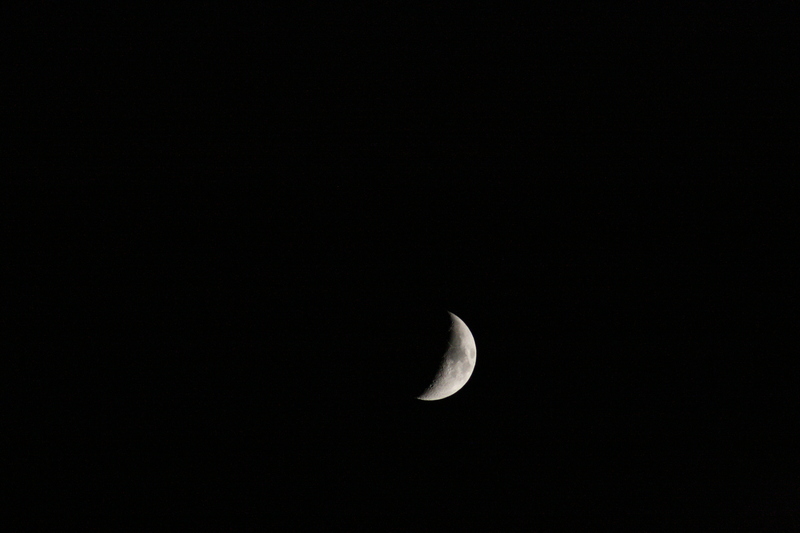 Therefore, I decided to take a few pictures of the Moon. The first few pictures were very overexposed, but after adjusting the settings a bit, I got a good clear image of the Moon. I had to expose it for 1/800th of a second to get a good picture. The Moon exposed to show planetshine. The light on the left of the Moon is called “ghosting” It’s when the flipped light of the image that is reflected onto the CCD Chip is also captured. 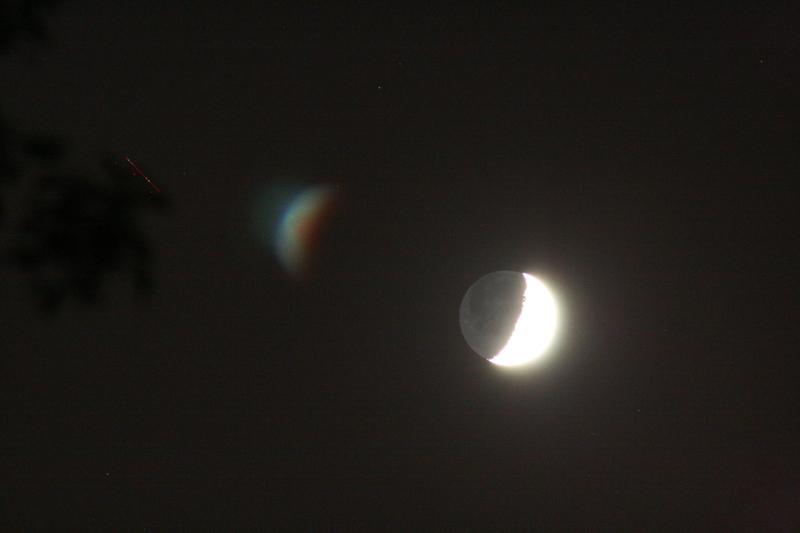 Notice how the moon and the ghost moon are mirror opposites. I soon had the idea to follow the movement of the Moon. I decided to take many pictures of the Moon, as it was moving across the night sky. It gave me a new perspective on the movement of the Moon, the solar system, and our own movement in the cosmic scale. 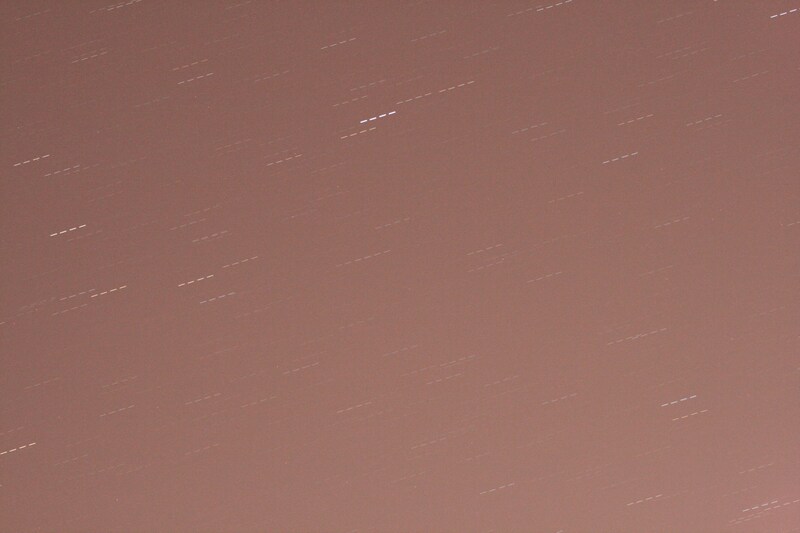 After taking those images, I decided to take a few 30 second exposures of the sky. The images were trailing, but it looked good after stacking them together. I also made a very quick video of the star trails moving across the night sky. Once I got the pictures I wanted, I packed up, and went back inside. It was a successful night of imaging. 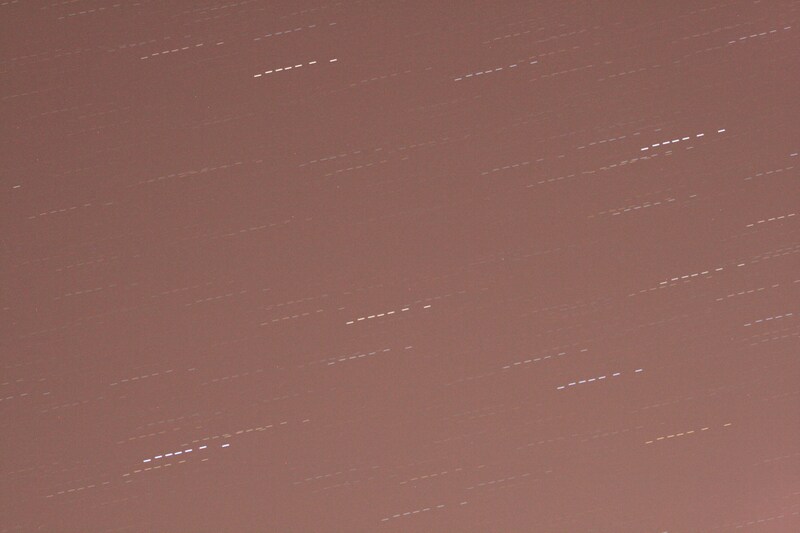 I got a few pictures of the Moon, the conjunction, and the star trailing. I also was able to make a video using those images. Hopefully, I can capture better images next time. Until then, Happy Observing!